I’ve been meaning to try this recipe for a while and the wait was totally worth it. It’s light, easy, quick e everything you can hope for on a lasy Sunday morning. This recipe gives either two big pancakes or four good size ones. It’s a nice change from the good old porridge or cereal. Believe me, it’s just perfect! In a blender combine the milk, oil, banana and sugar until smooth. Pour the mixture on a hot non-stick, lightly oiled frying pan. Let sit on medium heat until the centre starts to bubble or the pancakes get lose. Flip the pancakes over an cook the other side until golden brown. Repeat the process until you use all the mixture. Sprinkle the cinnamon and serve it with the margarine and golden syrup. Hi,what is the quantity for one cups flour? What size cup it is ? For 25 centiliters of water? Hi Nadia, thanks for your comment. My favourite! 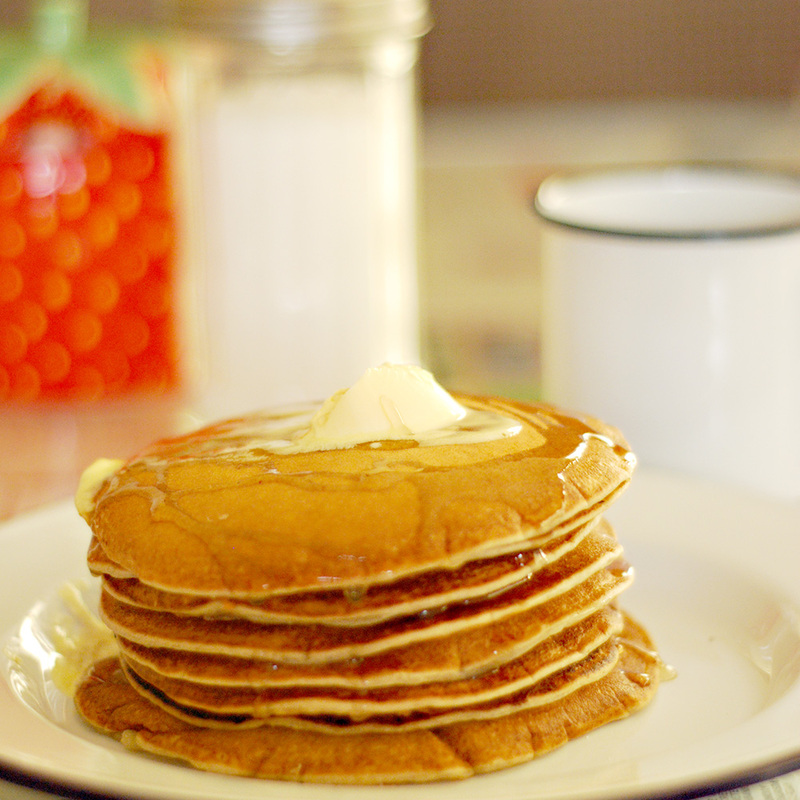 I love banana pancakes and your recipe is super easy to make. I’m going to make these soon, thanks for sharing your recipe! I’m thinking of using coconut oil, do you find it suitable?